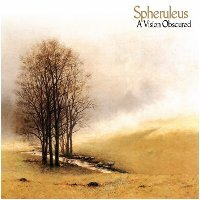 Spheruleus returns to Earth Mantra with a truly wonderful collection of nine introspective ambient tone poems called A Vision Obscured. This is a very special release for Harry Towell, the artist behind the project, a deeply personal reflection of some parts of his life that he'd prefer remain private. According to Harry, "I have given only the title names away as hints to what the album is about, and it is up to the listener to supply a story of their own as they listen to these works". As the title suggests, the theme of the album is about striving for a goal, only to lose sight of it despite one's best efforts; the perfect vision of the dream obscured by obstacles in the way, an experience that the artist feels is universal to most human beings. The music itself is sparse and beautifully paced. Patience and contemplation are the watchwords of this lovely album. The overall feel is a bit melancholic, but there are subtle underlying positive hints throughout, offering glimpses of what might be seen if the cloudy murk of sadness was to disappear. The maturity of Harry's work and the great care he took with this album really stand out. We've long been fans of his music, but have to say that this is probably the best work we've ever heard from him. For this is the kind of ambient music that is perfect for the autumn, when the light begins to fade and the leaves begin to fall. The feelings are bittersweet and the theme a bit sad, but the beauty is undeniable and is thoroughly breathtaking. Earth Mantra is proud to be releasing this thoughtful and highly polished collection of deep ambient pieces, and hopes very much that Spheruleus continues down this musical path in the future. To me, Spheruleus has perfectly captured the essence of Autumn. Excellent use of field recordings. This will be in my playlist over the coming months. This is a wonderful release. Very nice. Can't wait to listen to it more as the season changes.